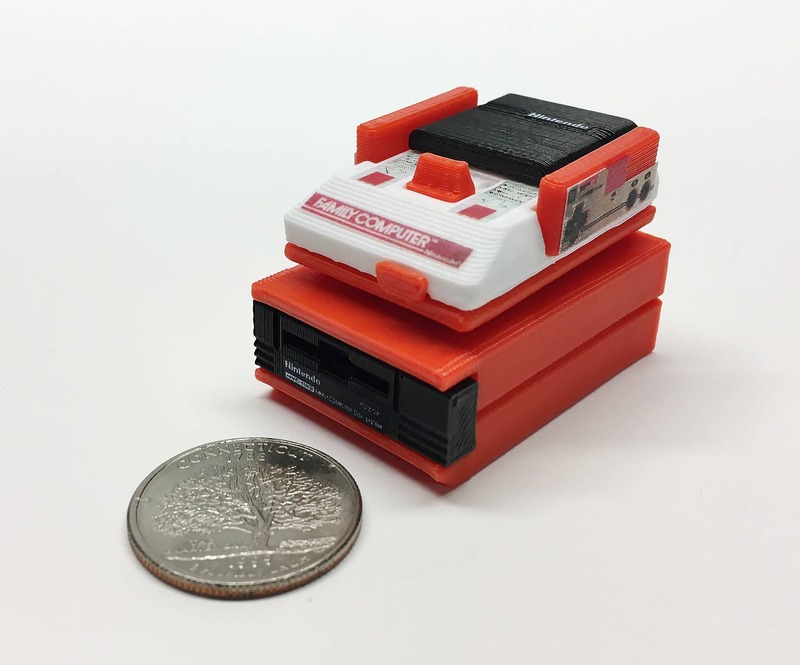 This tiny, 1 3/4" (40mm) Nintendo Famicom was designed using open source CAD software, 3D printed on a Makerbot Replicator, and hand painted and assembled. Controllers and cart are removable. A great addition to your desk or studio. Includes one console, two controllers, and one cartridge, the Famicom disk system, and RAM adaptor. Very detailed. I think I'm turning Japanese, I think I'm turning Japanese, I really think so.